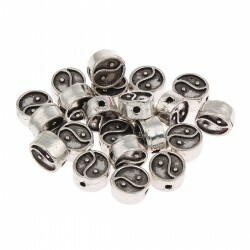 Loose metal bead with Yin Yang format. 20 grams bag with about 16 loose metal beads, carved in low relief on both sides with Yin Yang symbol. 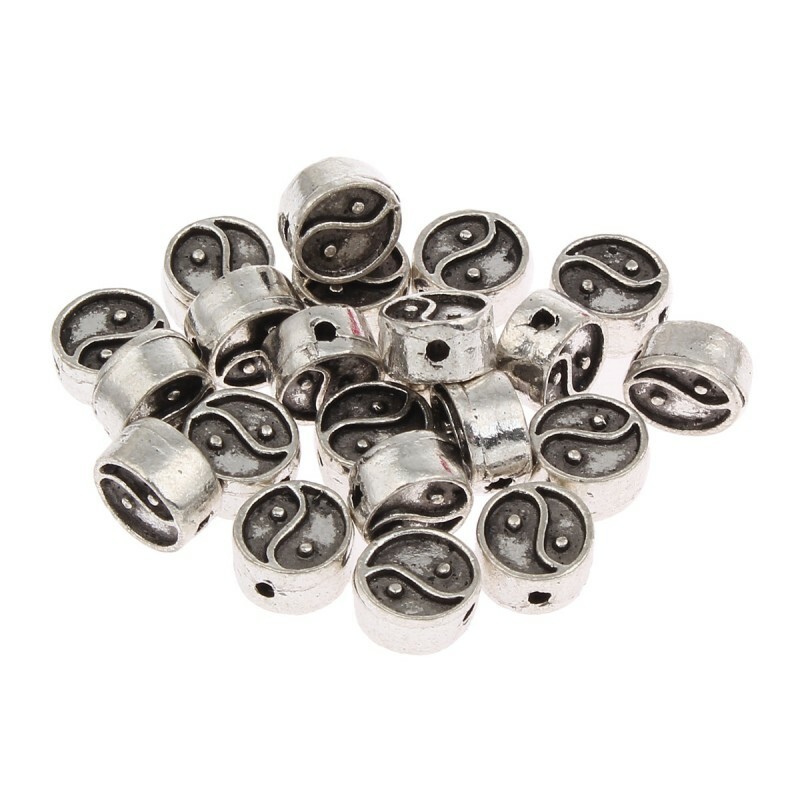 They measure 7 x 4 mm, have a hole for threading of about 1 mm and are made of a zinc alloy in antique silver color. 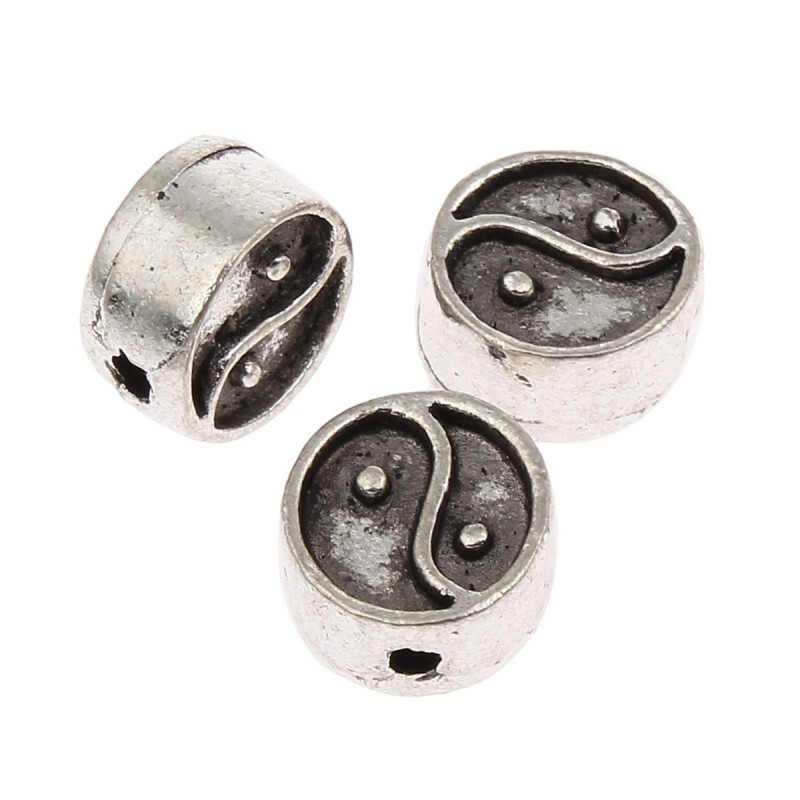 Yin Yang represents balance, the opposite and complementary forces.